Hey, What’s going on guys? my names AKASH and today we are gonna Root Samsung Grand Max without PC! But before we get into the rooting process I want to warn you that Rooting will break your warranty if your device comes into one, Making it impossible for you to repair/replace it from the manufacturer. I want to make sure that you’re well aware of what you’re doing so here’s 5 risks of rooting your phone read it before you continue I highly recommend it. Samsung Galaxy Grand Max smartphone was launched in January 2015. The phone comes with a 5.25-inch touchscreen display with a resolution of 720 pixels by 1280 pixels at a PPI of 282 pixels per inch. The Samsung Galaxy Grand Max is powered by 1.2GHz quad-core Qualcomm Snapdragon 410 processor and it comes with 1.5GB of RAM. The phone packs 16GB of internal storage that can be expanded up to 64GB via a microSD card. As far as the cameras are concerned, the Samsung Galaxy Grand Max packs a 13-megapixel primary camera on the rear and a 5-megapixel front shooter for selfies. The Samsung Galaxy Grand Max runs Android 4.4.4 and is powered by a 2500mAh removable battery. It measures 146.10 x 75.00 x 7.90 (height x width x thickness) and weighs 161.00 grams. The Samsung Galaxy Grand Max is a dual SIM (GSM and GSM) smartphone that accepts Micro-SIM and Micro-SIM. Connectivity options include Wi-Fi, GPS, Bluetooth, NFC, FM, 3G and 4G. Sensors on the phone include Compass Magnetometer, Proximity sensor, Accelerometer and Ambient light sensor. ROOTING simply means to get all the power of your phone can give you! you can increase your BATTERY LIFE increase your CPU PERFORMANCE! what it does is just give all the apps the permission to change SYSTEM binaries and IMPROVE them! That manufacturer doesn’t want us to do! to make the phone lasts long… they give us the UNROOTED device. SO! Are you ready to root Samsung Grand Max without PC? Prepare your phone buddy, We are going on a long drive! First of all Download Odin and CF-Auto-Root. After that Install the Samsung USB Driver in your PC. And then Extract Both Odin and CF-Auto-Root in your PC. And yup that’s pretty much what you need to start! 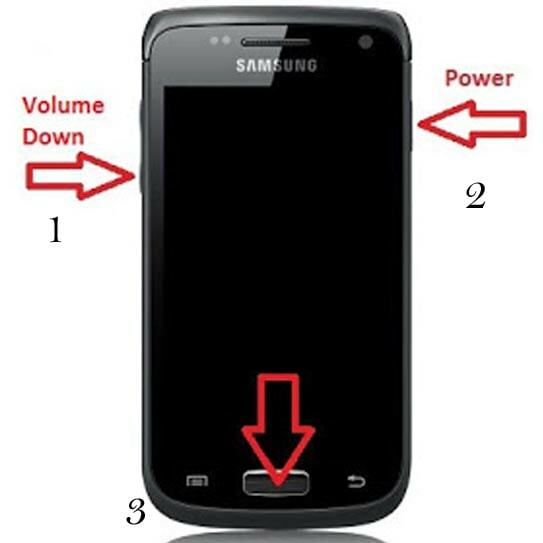 For those who haven’t rooted their phones and are running on the stock recovery, Here are the Detailed steps on how to flash a ROM using the stock Recovery. If you’ve done it properly you’ll first see the Samsung Logo and after that, you’ll see a Warning message. Now don’t panic, if your phone just reboots. repeat the process until you see the warning message. And after you see the warning message use your volume UP to enter the download mode. Now, once your phone is in download mode its time to setup Odin in your PC. Download ODIN for your PC from the download box down below, After that install it. While its installing in the mean time download your phone’s driver from below and install them as well. After Odin’s installation is done open it. after that, connect your phone to your PC via USB. 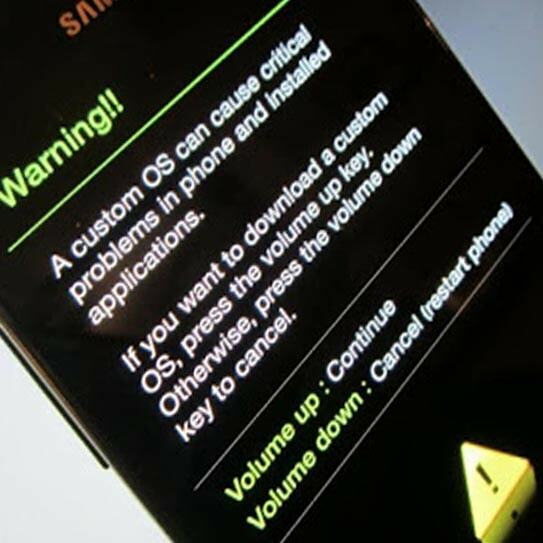 If you’ve installed the drivers of your phone correctly Odin Will Show the message “added“. If you didn’t get this message try reinstalling the drivers. 5: After you have selected the CF-Auto-Root file, click on Start button in the Odin tool. Now the Root process will start. It takes some time to root. When root process will complete, you will see the green box in the Odin tool. 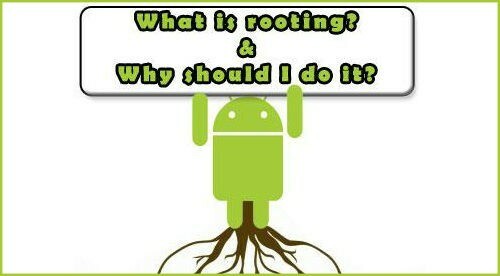 Check If You Are Rooted Or Not! If you get the Pass by Odin then you’ve Successfully rooted your phone! -Congrats on that! In case you want to check whether your phone is rooted or not you can download Root checker from Here! If your phone is Rooted you’ll see the “Congratulation” Message with the green check on your phone. Congrats, your phone is successfully Rooted. Now you can install SuperSU from Google PlayStore to grant root permissions to your apps. Congrats! You’ve just successfully Flashed the ROM. If you have any problem trouble please mention us below in the comment section and we’ll help you out. Odin For PC – DOWNLOAD. Samsung USB Drivers – DOWNLOAD.